Melbourne is arguably Australia’s fashion and food capital – and we especially love afternoon tea. So it was a no brainer for Sydney-based outfit The Tea Salon to open their Melbourne outpost in the shiny new $1.2 billion Emporium Melbourne shopping centre. 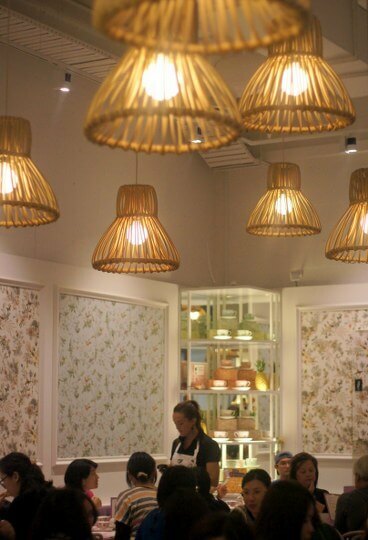 In amongst the sleek, modern architecture of Emporium Melbourne The Tea Salon stands out as a place of storybook whimsy. Step into the looking glass and come out in Wonderland! 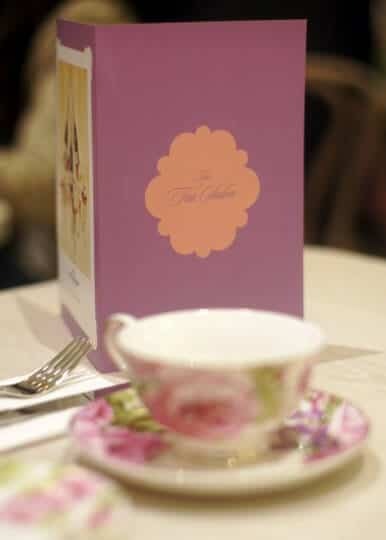 The Tea Salon is open for breakfast, lunch and everything in between but they specialise in high tea. 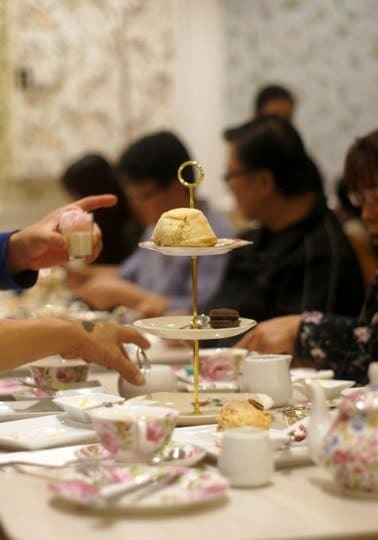 I was invited to sample their Classic High Tea ($39) as well as their Children’s High Tea ($19.95) for kids under 12 years old. You can choose to upgrade the Classic High Tea with sparkling, Moet et Chandon or a Hendrick’s High Tea Cocktail. 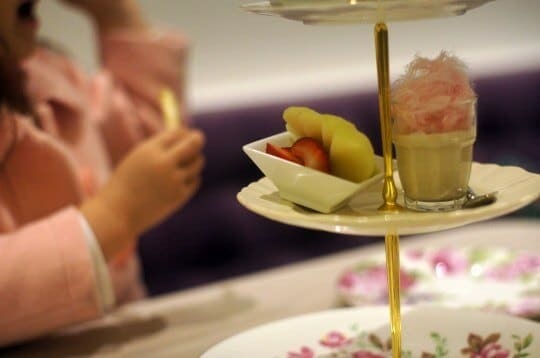 The Classic High Tea included a large vintage pot of loose leaf tea (a lightly spiced chai with soy milk in my case) and we chose to have a vanilla milkshake with the Children’s High Tea, although you can choose to have tea or fruit nectar instead. A small detail but the staff had thoughtfully presented the milkshake in a takeaway container with a lid and a straw, minimising mess and spills. And in fact, the service was characterised by friendly consideration throughout our afternoon tea, despite the hectic turnover of tables. 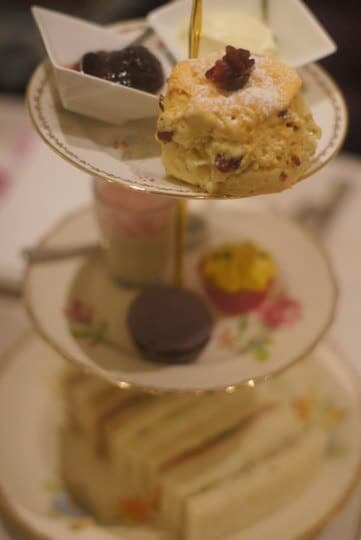 Both high teas came presented on elegant vintage style triple tier stands with a traditional selection of finger sandwiches, some sweets and one scone you can select from the specialty scone menu. While the sandwiches at a high tea are not normally the main event for me these sandwiches were of a notably better quality than some others I’ve tried. The bread was soft, the fillings were fresh and the portions were generous. I particularly enjoyed the creamy chicken sandwiches studded with almond and celery and the other sandwiches consisted of smoked salmon, roast beef and cucumber. 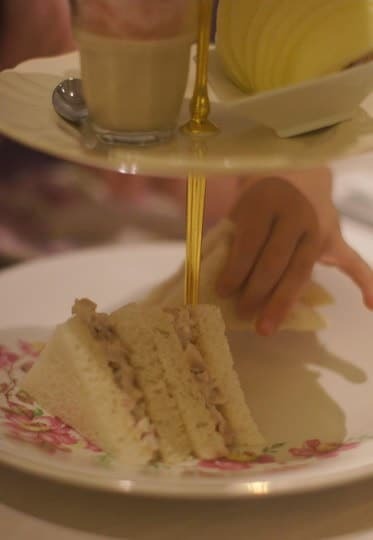 In the Children’s High Tea the sandwich was a simplified chicken and mayo (vegetarian options available) which was a hit. Of the sweets the mini rose pannacotta was a highlight – a creamy and smooth base topped with a perky fluff of Persian fairy floss. The lavender and dark chocolate macaron was too sticky and overpowering in its sweetness for my liking while vanilla cupcake with passionfruit icing was stolid and dry. On the Children’s High Tea the sweets more minimal, with the same mini pannacotta and some sliced fruit. Surprisingly my guest headed straight for the fruit, suspicious of the other dessert (I guess she’s probably never had fairy floss before). 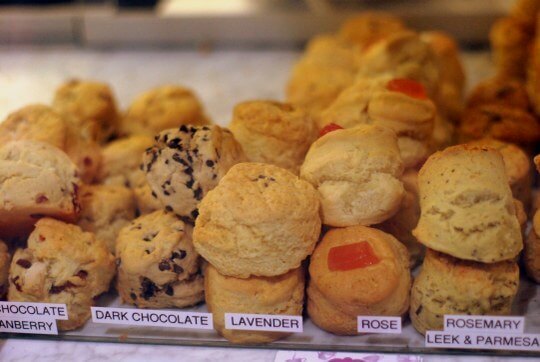 While it may seem a bit miserly to only provide one scone it was in fact quite an enormous scone, so easily the equivalent of two normal tea scones. The flavours range from original plain to fruity to floral to savoury, so there’s something for everyone. We tried the cranberry with white chocolate and date and cinnamon, both of which were generously studded with fruit and fluffy and light. 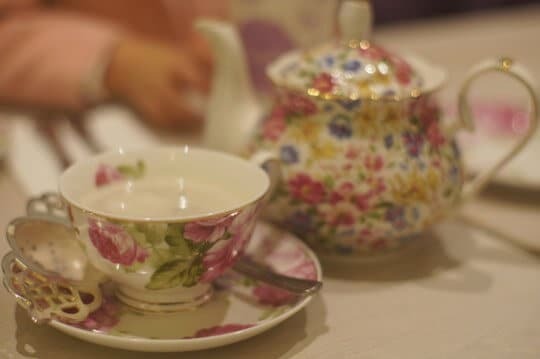 The Tea Salon is a gorgeous pit stop after some serious shopping but note that it may not be a wholly relaxing experience. The café seats 85 people and the tables are set up quite close together. At full capacity I found it a bit noisy and squashy, though you can tuck yourself up in the banquette so you’re not pulling your chair in for passers-by and waitresses constantly. The décor was lovely, with pastel Victoriana wallpaper and elegant lampshades like floating dancing crinolines in a ballroom. With the early hype of Emporium Melbourne opening there was a bit of a line up to get in on a weekend afternoon, but they do take bookings which means it would be a lovely destination for say, Mother’s Day. And while it’s quite a girly atmosphere I saw families and guys on their own all enjoying a nibble and a hot drink – so if you’re not a pastel frilly type of person you needn’t feel excluded! Setting is beautiful – teapots, cups & saucers etc. But 5 very small pieces of sandwich # $14 was excessive – and the pot of tea was extremely weak, extremely. Don’t think I will be back.